There's a really quick, somewhat unimportant shot in “La La Land” that happens to be one of the saddest moments in the film. It's a scene where one of the main characters drives by an old movie house with the word CLOSED hanging from its marque. Is there anything more troubling to a film fan than the signifying death of the theatrical experience? Luckily, if that's what you're after then the year 2016 provided plenty of great films to make up for the onslaught of celebrity deaths that made headlines throughout the year. I can't complain about a lack of great movies though it took me a while to narrow down my absolute favorite. There was no obvious, clear-cut winner like last year's “Mad Max: Fury Road.” With several repeat viewings and fierce deliberation I've finally come to the painstaking decision of what films rank as my absolute favorite of the year. Let's get to it! 1) La La Land (dir. Damien Chazelle)– The must-see musical event of the year “La La Land” is the stunning new film from “Whiplash” mastermind Damien Chazelle. Set in modern day Los Angeles, the film follows an aspiring actress (Emma Stone) and jazz musician (Ryan Gosling) as they fall in love while pursuing their dreams. 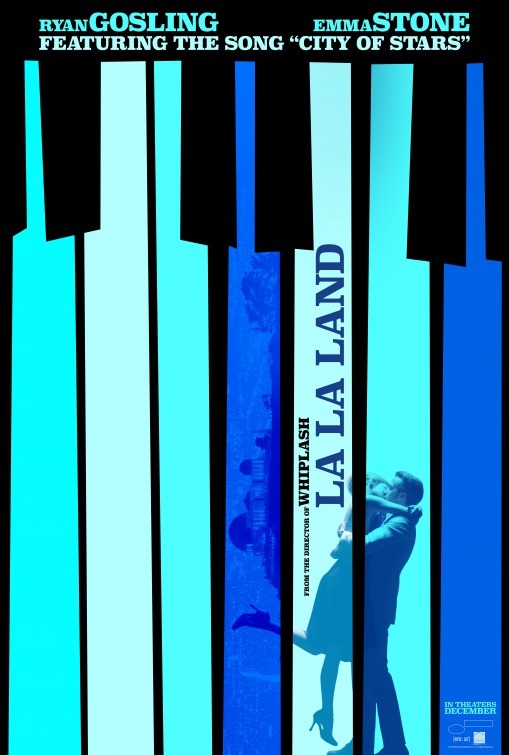 While the story itself doesn't seem particuarlly innovate at first glance, the film features wonderfully jazzy original songs, exquisitely staged musical numbers (including a standout opening sequence set during an LA traffic jam that deserves an Oscar itself) and fervent chemistry from its leads. The rare film that was even better on a second viewing, “La La Land” is my favorite film of the year! 2) Manchester by the Sea (dir. 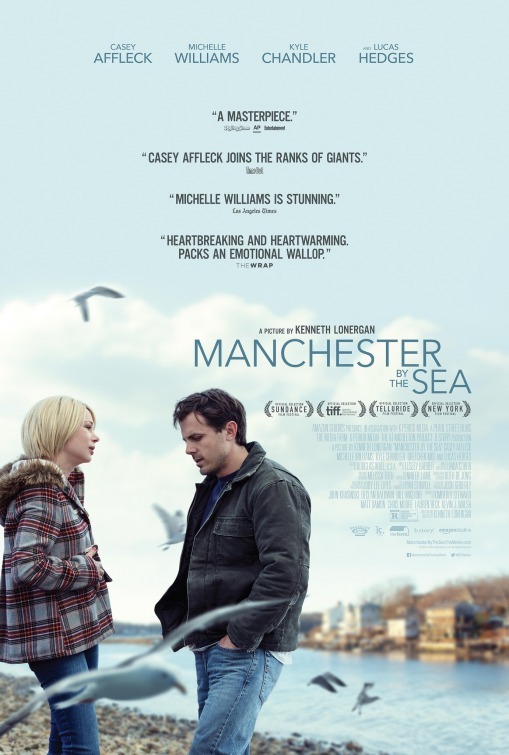 Kenneth Lonergan) – This searing Massachusetts-set drama stars an extraordinary Casey Affleck as a sullen handyman who unexpectedly becomes the legal guardian of his teenage nephew after his brother (Kyle Chandler) suddenly passes away. The wintery landscape is the perfect setting for this intense family tragedy that features fantastic performances (including a standout turn from the young Lucas Hedges), a top-notch screenplay that slowly peels away the layers of its fascinating characters and story, and an evocative choral score that is a character itself. It's melancholy for sure, but I sat through it twice and found it to be extremely powerful and emotionally refreshing. 3) Moonlight (dir. 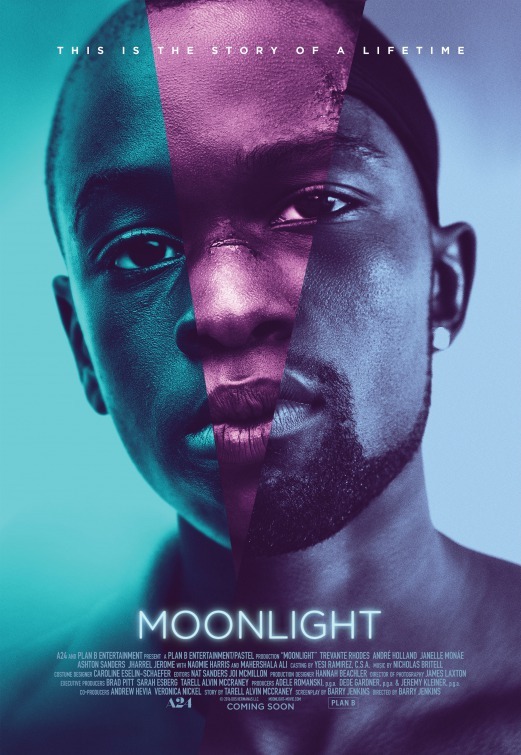 Barry Jenkins) – A truly remarkable drama, shot with almost alarming realism, “Moonlight” tells the story of a Black boy named Chiron growing up in a poor area of Miami. Rife with themes of race, identity, and masculinity, the film is told in three separate segments with three different actors playing Chiron first as a small, shy boy, then as an introverted and bullied teenager, and finally as a tougher, hardened man. Impeccably directed by Barry Jenkins, “Moonlight,” with its stunning photography and evocative score, is a truly rewarding and moving experience. 4) Hidden Figures (dir. Theodore Melfi) – The year 2016 was filled with movies about incredible stories about all different types of people. “Hidden Figures” tells the true story about a little known group of African American women who worked for NASA during the 1960s space race and all the racist bullcrap they had to deal with. 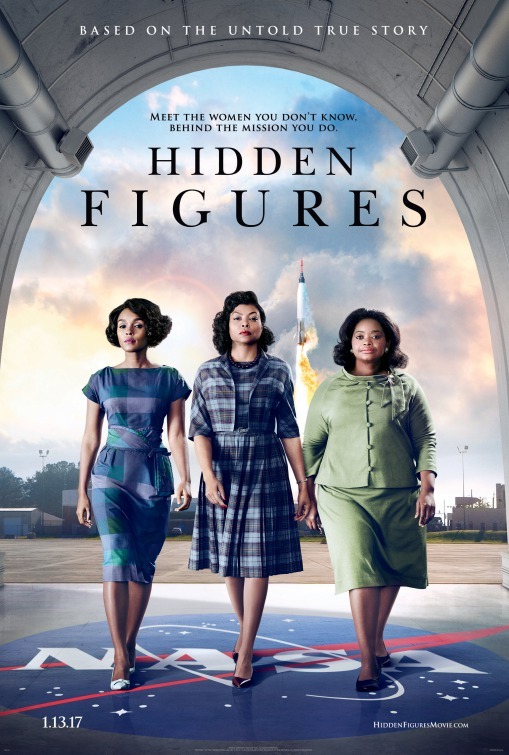 This highly entertaining movie, featuring a trio of great performances from Taraji P. Henson, Octavia Spencer, Janelle Monae, proves that you can have a lot of fun telling a real story about important issues without being overwhelmingly depressing and cynical—though that can be fun too. 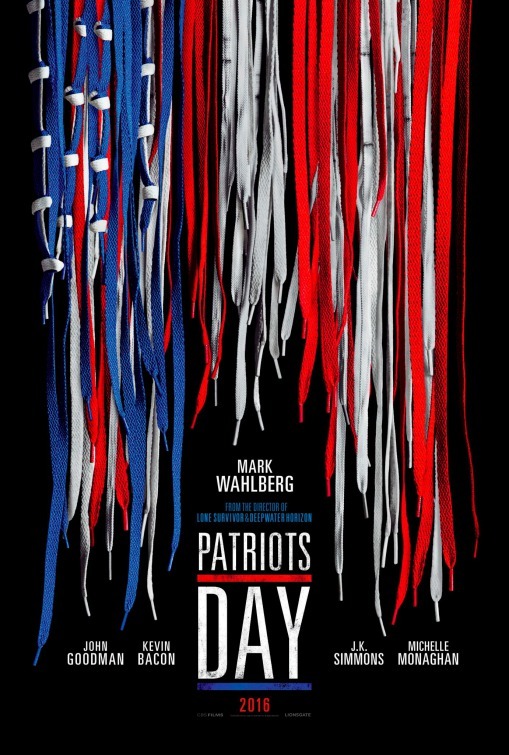 5) Patriots Day (dir. Peter Berg) The tragic story of the 2013 Boston Marathon bombing is transformed into a thrilling docudrama that honors the people who were involved. I’ve seen many documentaries about this subject and the film gets a lot of the true life details correct. The movie doesn’t make many political statements and it might seem weird at first but the bombers are portrayed as actual human beings even though what they did was despicable. Mixing reenacted footage with real footage, this extremely intense film works as a police procedural and is completely compelling, if at times rather difficult to watch. As a reenactment of a terrible tragedy and a reflection of the heroism and hope that emerged, it’s a film in the top of its class. 6) Arrival (dir. 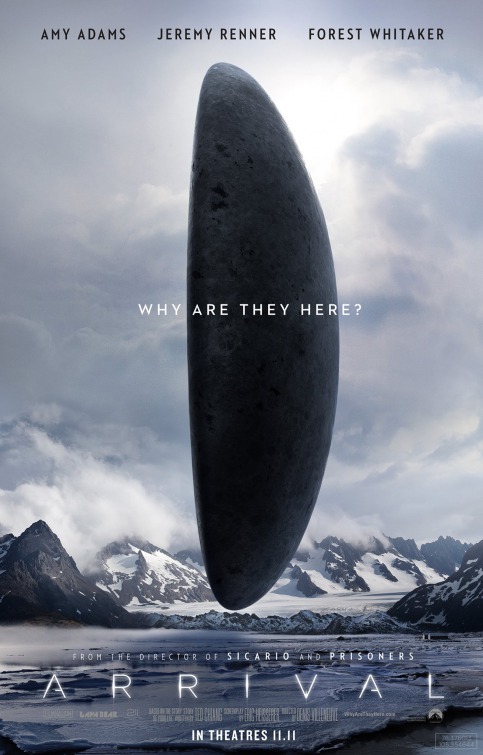 Denis Villeneuve) – Easily one of the best thoughtful sci-fi films of recent memory, “Arrival” stars Amy Adams as a forlorn linguist professor tasked with translating the language of seemingly peaceful extra-terrestrials that have made their way to Earth. Featuring brilliant direction from Denis Villeneuve – one of Hollywood’s great new filmmakers – (he made “Prisoners” and “Sicario”), “Arrival” – equal parts Christopher Nolan and Terrence Malik - is one of the most original, surprising, and downright mentally stimulating “alien invasion” movies in quite some time. 7) The Nice Guys (dir. 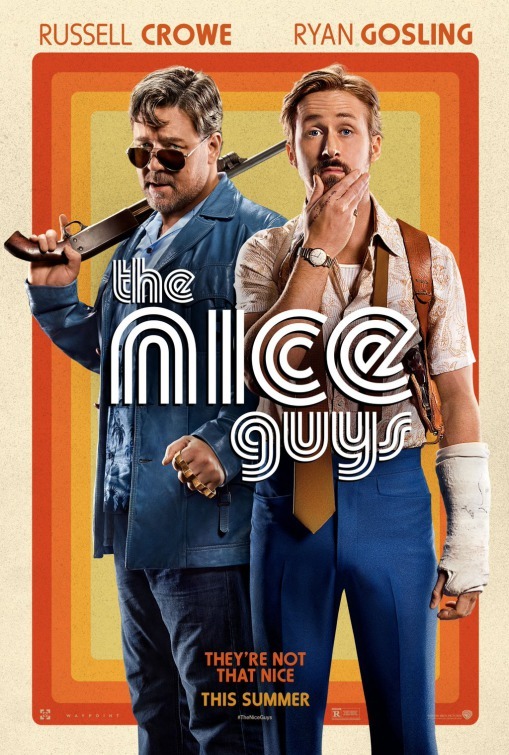 Shane Black) – One of the best comedies of the year, “The Nice Guys” stars Russell Crowe and Ryan Gosling as feuding private eyes forced to work together to find a missing teenage girl in crime-ridden 1970s Los Angeles. Part crime thriller part buddy comedy, this comedic noir features a witty, twisted screenplay from director Shane Black and an extremely likable ensemble cast. This is really fun, original Hollywood filmmaking that many complain they don’t make anymore. 9) Jackie (dir. 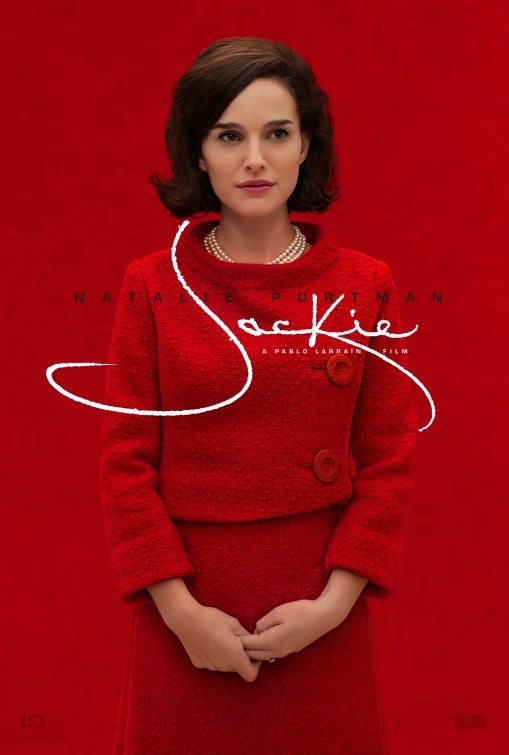 Pablo Larrain) – This melodic, evocative portrait of former First Lady Jackie Kennedy is headlined by a magnificent Natalie Portman whose performance goes far beyond impersonation. This is a fascinating, lyrical film that takes place around the time of her husband’s assassination and has a lot to say about grief, loss, and legacy. The music is haunting, the cinematography beautiful, and the cast is superb. The film refuses to follow any standard biopic formula – also avoiding any sensationalism or conspiracy theory stuff by staying in the moment - and instead is a moody character study, and adds to my growing obsession with anything involving the JFK assassination. 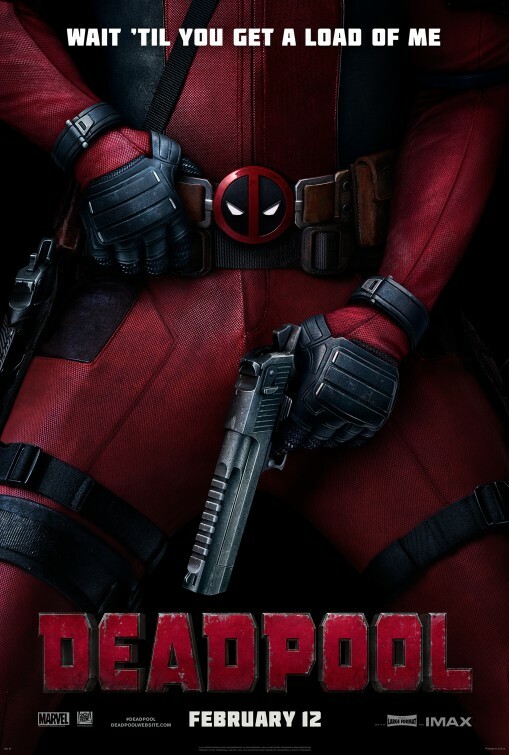 10) Deadpool (dir. Tim Miller) – Irreverent, self-aware comically violent comic book movies aren’t a new thing, but you’d be hard pressed to find a more entertaining and funny take than last year’s Valentine’s Day release “Deadpool.” Ryan Reynolds was born to play the chimichanga-loving, Bea Arthur-obsessed (who isn’t?) “Merc with a Mouth.” You have to admire the passion that was put into this long gestating project with fantastic results. It’s funny, fresh, and cheekily filthy- in other words - the perfect antidote to the overwhelming case of superhero fatigue that’s been going around. 11) Everybody Wants Some!! (dir. Richard Linklater) – Director Richard Linklater, who made the brilliant 2014 film “Boyhood” and cult classic “Dazed & Confused,” returns to his retro roots with this story of a college baseball player as he enters his freshman year in 1980. He quickly bonds with his other teammates who all work their bro-magic charm including scene stealer Glen Powell from “Hidden Figures.” The film has an authentic period vibe and features appealing performances and a killer soundtrack to boot. 12) Hacksaw Ridge (dir. Mel Gibson) – Mel Gibson returns behind the camera for this World War II drama that tells the remarkable true story of a pacifist army medic played by Andrew Garfield. It’s a pretty amazing story; this man saved so many soldiers’ lives without ever carrying or shooting a rifle. 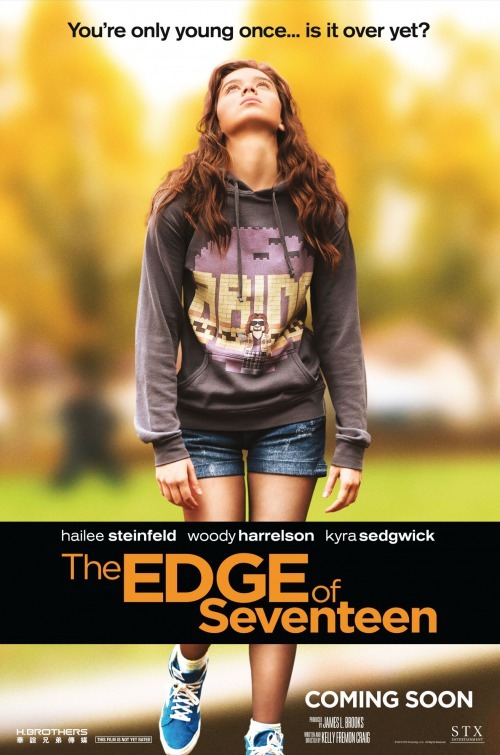 It’s a sometimes brutal film to watch, mostly in its second half, but is brilliantly shot, directed, and acted. 13) OJ: Made in America (dir. Ezra Edelman) – The most compelling 478 minutes you’ll spend on one piece of media this year, this sprawling, brilliantly conceived documentary about OJ Simpson and the “Trial of the Century” and its aftermath is a masterpiece of non-fiction storytelling. Coming off the heels of the equally entertaining FX series “American Crime Story,” Ezra Edelman’s fascinating film covers a controversial subject that is just as captivating as it was 20 years ago. A story about race, justice, celebrity, and murder, the themes are still completely, and disturbingly, relevant today. If you think the film is just about a murder trial, you’re not seeing the whole picture. It’s truly remarkable filmmaking. 14) Tickled (dir. David Farrier, Dylan Reeve) – The investigative documentary you probably haven’t heard of or seen, “Tickled” follows a journalist from New Zealand as he stumbles upon the wacky and initially innocent world of “endurance tickling” online and then gets more than he bargained for when he’s quickly met with resistance and stumbles down a rabbit hole of morally questionable behavior. Directed by David Ferrier (the journalist in the film) and Dylan Reeve, the movie is captivating from beginning to end and ends up being a fascinating story of the darkness of human conduct. 15) Moana (dir. Ron Clements, John Musker) – Just when you thought your kids were over “Frozen” comes another animated Disney musical, “Moana;” and it’s just as good as anything Disney has done. It’s a sheer delight from start to finish filled with wonderful songs from Lin-Manuel Miranda of “Hamilton” fame and a new Disney heroine for the modern age. Set in a fantastical, ancient Polynesia, Moana (newcomer Auli’I Cravalho) sets out to help her cursed island by seeking the help of Demigod Maui (voiced by Dwayne Johnson) and comes across many colorful characters along the way. The film features truly beautiful animation, a fun story, and great music. 16) The Shallows (dir. Jaume Collet-Serra) – Ah, “The Shallows,” the big summer surprise no one thought would be good. This “127 Hours” meets “Jaws” shark thriller starring Blake Lively and a CGI Great White is the guilty pleasure of the year. Though guilty pleasure tends to imply something is bad. Let’s get it straight, “The Shallows” isn’t a bad movie. It’s slickly made, has a good performance from its lead, and has some pretty good effects work considering its $17 million budget. Sure some parts of the final act are a bit silly but it’s constantly engaging, thrilling, and really fun to sit through with a badass heroine. If that’s not the definition of a fun summer movie then I don’t know what is. The fact that it’s not a sequel, remake, or comic book movie makes it all the more impressive. 17) Don’t Breathe (dir. Fede Alvarez– A disturbing horror film from the guy who directed the “Evil Dead” remake, “Don’t Breathe” follows a few well-intentioned thieves as they attempt to rip off a blind Army veteran (Avatar’s Stephen Lang) in his own home. Quickly the tables are turned on them as they fight to stay alive in this truly claustrophobic and unsettling thriller. You’ll never look at a turkey baster the same way again. If you enjoy this, definitely check out “Green Room” as well. 18) The Conjuring 2 (dir. James Wan) – A completely solid sequel to one of the best horror movies of the past decade “The Conjuring 2” continues exploring the fascinating Warren family and their endless resume of startling real-life cases. This time Ed and Lorraine (Vera Farmiga and Patrick Wilson) head to England to investigate a disturbance with a single woman and her kids. The film is rich in fright and story and serves up a potent mix of jumps and flat-out disturbing imagery. Fans of the first film will no doubt enjoy this next entry as director James Wan continues to impress as he becomes one of the most sought after modern horror maestros. 19) 10 Cloverfield Lane (dir. Dan Trachtenberg) – A top-notch claustrophobic thriller released earlier in 2016, “10 Cloverfield Lane” is a gripping experience from beginning to end. A woman is rescued from a car wreck only to be held prisoner in an underground bunker by a crazy guy played by an Oscar-worthy John Goodman. It all leads up to a bizarre final act in which we learn that monsters take many forms. Those hoping for an actual sequel to 2008’s “Cloverfield” will be disappointed, but this is a great standalone sci-fi thriller.